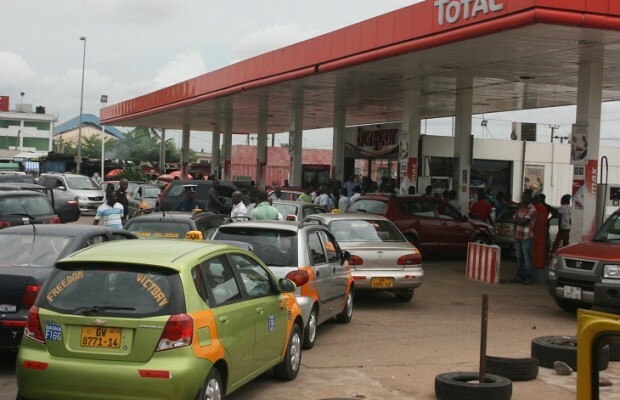 Leslie Dwight Mensah, an economist at the Institute of Fiscal Service (IFS), says government should reduce the prices of petroleum products if the current decline in the price of crude oil on the international market persists for a week or two. The price of crude oil on the international market dropped to $25 per barrel yesterday but consumers in Ghana are paying more at the pumps. According to him, the last time domestic prices of petroleum products were increased, crude oil was below $30 a barrel on the international market. “If this situation persists for another week or two, then it is probable we would see a reduction at the pumps on the Ghanaian market. The last time the domestic prices were set, crude oil was below $30 so once the price has fallen below $30, since that time, then the decline between the period of the last increase and now should reflect very soon in the decline in domestic pump prices,” Mr Mensah told Nii Ogbamey Tetteh in an interview. He said the introduction of the energy sector levy, among others in recent times, had caused a drastic increase in the prices of petroleum products instead of consumers witnessing a fall in pump prices. “That levy substituted the reduction that we would have seen at the pumps. So whereas there is a decline in the world market price and we should be witnessing a fall in pump prices, we have seen an increase which is rather unfair to the consumer,” he added. He continued: “The upward adjustment in petrol prices came about because of the energy sector levy, and we have not seen the benefit of the decline of crude in the world market because Ghanaian consumers were due some reduction but then the government came in with the tax or a levy. “The decrease that we, consumers, should have been granted has been captured by the government through that energy sector levy and their justification is that they have debts to pay in the energy sector. My view is that that is unfair to the Ghanaian consumer,” he said. He said that with the Western sanctions on Iran lifted allowing Tehran to resume oil exports, the price of crude oil on the international market would reduce further.